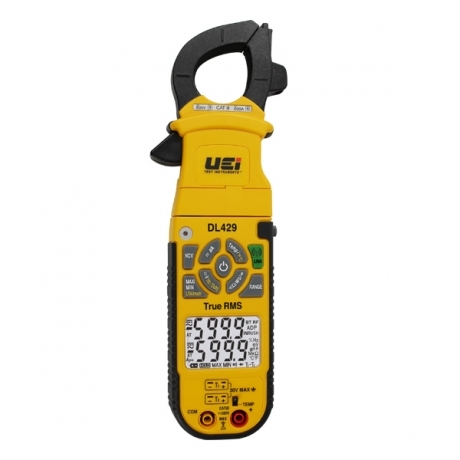 The DL429 has a dual display capable of showing two temperature input readings, T1 and T2. It also displays temperature differential, T1-T2. It accepts direct K-type thermocouple input, no adapter required. And finally, it has a temperature range of -22˚ to 752˚F. In addition to the dual temperature function, The DL429 features HAVC functionality such as locked rotor amp inrush, capacitance, AC microamps, 600A AC, 750V DC, 1000V DC, resistance, and more. We’ve added all this while meeting the latest stringent safety standards.